Readers of this blog may recall that Farage has long expressed a desire to place his backside on the read leather in the House of Lords. 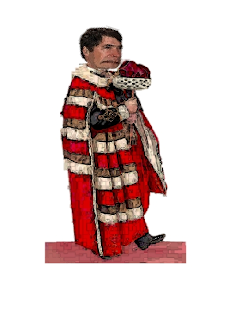 The news that the Lords may be replaced by an elected Upper House - Senate - has Nigel positively slavering at the mouth like one of Pavlov's dogs! Nigel Farage, the leader of the UK Independence Party, both indicated they would consider standing for an elected Upper House. Mr Farage said he expected the use of proportional representation suggested his party would do well in elections to the Senate. It may not be in the interests of the country but that won't stop Farage seeking to get a place on the UK's latest proposed gravy train. Nigel Farage’s patriotism is only skin deep. As an MEP he has claimed over £2 million in expenses. He also employs his wife using EU money and is set to get a massive EU pension when he finally stands down as an MEP. Remember when he said he would publish a list of all his expenses? "We are the only people who are intending, annually, to publish so that the public can inspect them, our expense accounts, our allowance accounts, and the excess that we get – the excess that we are forced to take – particularly on travelling allowances." And remember the promise to start a fund for all those who had suffered at the hands of the EU? He soon forgot those promises, didn’t he? Farage has done very, very well out of the EU. Why would he want to derail it? It is about time UKIPPERS realised this. UKIP is simply a vehicle to satisfy his greed and desire for personal advancement. 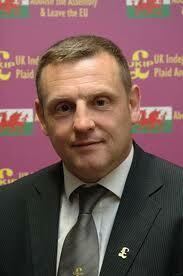 Kevin Mahoney was one of two UKIPPERS elected in the recent council elections in Wales. 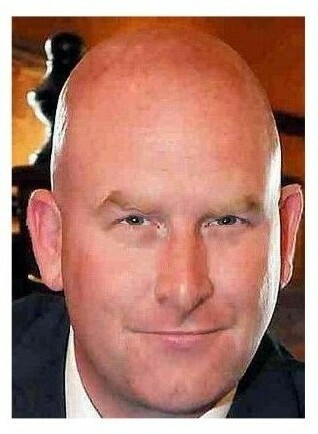 Some Welsh UKIPPERS have now suggested that he should replace John Bufton as lead MEP candidate in 2014. 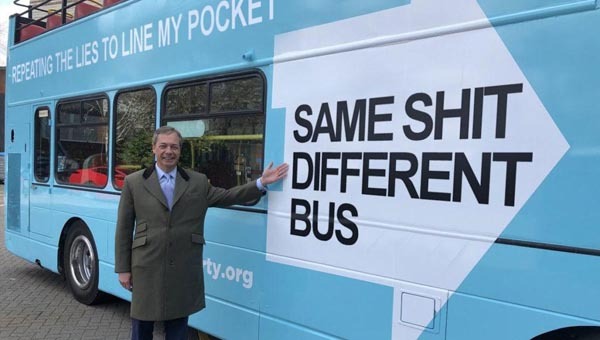 Bufton is now out of favour with Farage, plus he has health problems. The odious Paul Nuttall got rather worked up after hearing the news that Eurocrats were having a good time using our money. Europe Day was the cause for celebration. "How dare the Eurocrats party on down to nightclub sounds, free concerts and cookery displays when so many are suffering. "The European Parliament is boasting of Laughter Yoga sessions which describes itself as not needing, 'a sense of humour, no funny jokes or comedy programmes - just a willingness to laugh'. How appropriate. The Eurocrats are laughing at us, quite literally, at our expense. These people are like the ancien regime, they have learnt nothing from the past few years. "They carry on in their insulated bubble, divorced from reality, pretending that all is well behind their subsidised walls. It is a disgrace, but reveals the contempt with which they hold the populations of the European Union." The words 'pot calling the kettle black' do rather spring to mind when hearing this. This is the same man who has been heard to boast in Brussels about how much money he has earned since becoming an MEP. Hypocrite!